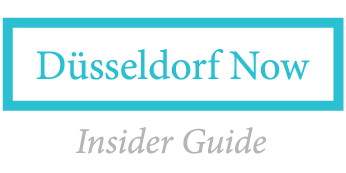 On the lookout for great events in Düsseldorf this March? Spring finally arrives this month, and that means the return of excellent outdoor events such as the Fischmarkt. And of course, there are plenty of other events happening this month too – from concerts and great wine tastings to the ever popular Duesseldorf Photo Weekend. KPMG Art Night is a fun and free monthly event which features guided tours and artist talks, some of which are presented in English. Did you know? You can now visit 7 Düsseldorf museums for free on Sundays! Browse an ever changing collection of second hand goods at this large scale market that’s been a Düsseldorf tradition for over 40 years. This popular night flea market features a big selection of vendors along with live bands and food trucks. Spring finally arrives this month, and at this unique festival you’ll have the chance to learn about growing your own plants for perfect garden. Sample freshly bottled wines from around the world at the Rhine Terrace, a beautiful location along the river. Ticket price includes wine tastings. Join popular wine expert Björn Bittner, known for his blog BJR Le Bouquet, for an exclusive evening at the stylish 20 Grad Restobar. You’ll be in good hands as he presents a selection of 20 Spanish wines accompanied by a flying buffet and music. The Fischmarkt (fish market) is situated directly alongside the Rhine river. But beyond the great location, the main attraction here are the approx. 90 stands which offer a wide range of tasty food, refreshing drinks and unique products. Love live music? You’re in luck, because Stadtklang will be presenting an impressive 10 concerts this month in hot locations such as The Paris Club at 25hours Hotel Düsseldorf Das Tour (pictured). Whether you’re into rock or pop music, there’s something in the lineup for everyone. Love good wine? You’re in luck, because at the Wine & Taste Festival you’ll have a chance to sample from a selection of about 200 wines in a relaxed atmosphere. Wines are also available for purchase directly from the participating wineries. Experience the songs and rhythms of the Caribbean and Latin America as Los Pipos performs live in Düsseldorf. This event benefits Futuro Si, a Düsseldorf based initiative that helps children in Latin America. Experience the incredible sights and sounds of a live Taiko Japanese drumming performance by Kokubu, a group of 17 drummers from Osaka, Japan. After successfully touring Japan and the USA for the last 20 years, the group is making its German debut this year.